Lenstra, H.W, & Tijdeman, R. (1982). 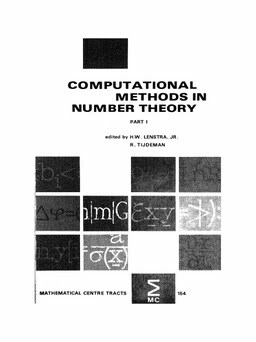 Computational methods in number theory, part 1 : [based on lectures, presented at the study week 'Number theory and computers', Amsterdam, 01-05.09.1980]. MC Tracts. Centrum Voor Wiskunde en Informatica.